Joseph J. LaViola Jr., Ph.D. 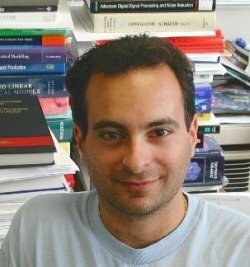 Although I am still an adjunct faculty at Brown, I am now an Assistant Professor in the School of Electrical Engineering and Computer Science at the University of Central Florida. My current web page can be found HERE. Latest News: 3D User Interfaces: Theory and Practice has been translated into Japanese and Chinese. 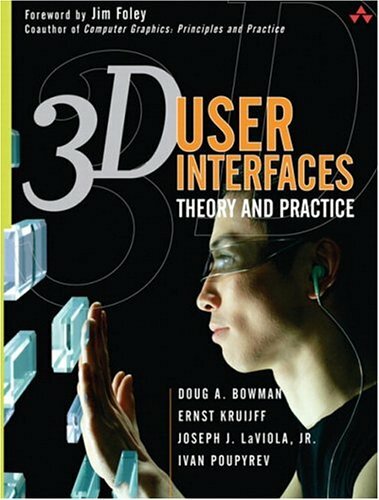 Written with my colleagues Doug Bowman (Virginia Tech), Ernst Kruijff (Fraunhofer IMK), and Ivan Poupyrev (Sony CSL), it is the first comprehensive text/reference book on 3D user interfaces. Order your copy from, Amazon, Barnes and Noble, or directly from Addison-Wesley. I am an adjunct assistant professor (Research) in the Brown University Computer Science Department. I work with Andries van Dam, Robert Zeleznik., and members of the Microsoft Center for Research on Pen-Centric Computing. My interests include pen-based computing, user interfaces, human motion estimation, virtual reality, and computer graphics. In addition to my academic pursuits, I also started JJL Interface Consultants, Inc., a consulting business specializing in a number of user interaction services. Check out pictures of my office mate! !